Extremely rich, the Ocean Blue line fills while aligning, leaving hair soft, shiny and super silky. From the sea, arrives one of the most powerful nutrients in the world: the Alfa-blue seaweed. Extremely rich, the Ocean Blue line fills while aligning, leaving hair soft, shiny and super silky. From the sea, arrives one of the most powerful nutrients in the world: the Alfa-blue seaweed. Extremely rich, the Ocean Blue line fills while aligning, leaving hair soft, shiny and super silky. Contains a blend of Amino Acids, Keratin, Serix, Ojon Oil and CH-PRO, which will restore lost nutrients, smooth the wires, reduce the volume, align the cuticle, repair the Damage, promote more softness and hydration, as well as ensuring intense brightness and natural movement. It hydrates, revitalizes, bring shine, silkiness and malleability to the hair. Blonde hair, frizzy, curled, wavy, damaged by chemical processes. Wash your hair thoroughly with shampoo 3 times. With the aid of a hair dryer, dry the hair completely. 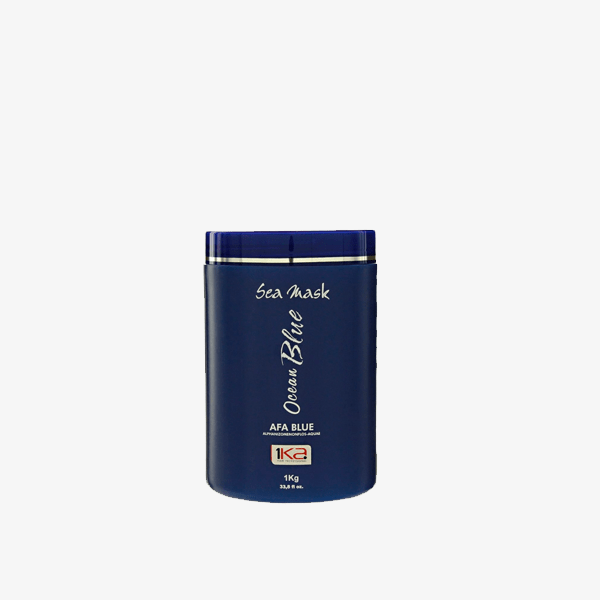 Apply the Ocean Blue Volume Reducer, without touching the scalp, wick by wick, through the entire length of the hair. Wait for 20 minutes until it reacts. Rinse until remove all the product. Apply the Sea Mask Ocean Blue leaving it to act for 5 to 10 minutes. Then rinse the hair again. Make a good brushing, separate the hair in thin wicks and use a hair straightener, 8 to 12 times in each wicks, with the temperature between 180ºC and 200ºC.